In the wake of a tragic surfing-related death on a well-known beach, there is mounting pressure to keep visitors safe in the tourist mecca of Tofino. Ann Wittenberg drowned Sunday at Long Beach, a Parks Canada-run site popular with surfers, just hours before she was set to walk her daughter down the aisle for her wedding ceremony. The 52 year old is believed to have slipped off her board and fallen into the water, and she was unable to be revived when bystanders pulled her out and performed CPR. It was the second surfing-related fatality of the year at Long Beach. 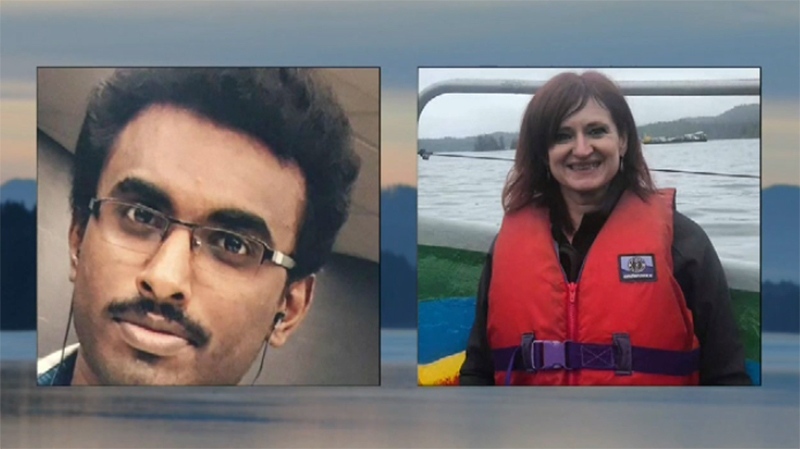 In February, University of Victoria research student Nijin John was killed while learning how to surf with a group of people. There have been no lifeguards on Long Beach since 2012, when a long-standing program called Surf Guard was shuttered. Doug Palfrey was one of those lifeguards for 36 seasons, starting in 1976, and watched as surfing exploded in popularity along with a tourism boom in Tofino. Now, he says he expects to see things at the beach go wrong. "I think, really, Parks Canada is 100 per cent negligent in providing adequate public safety on the beach," Palfrey told CTV News Wednesday. Parks Canada said as surfers moved to other beaches, it couldn't maintain the Surf Guard program and instead turned to signage and education to try to keep visitors safe. With two deaths at the beach so far this year, some say it's not enough. "Deaths are going to keep occurring if there is no protection for these people, and there's no further education about the risks involved," said Heather Durham, a surfer who was in the water when Wittenberg died – and helped rescue her daughter. Parks Canada says it is educating the roughly one-million visitors who flock to Tofino annually with a program called "Coast Smart" that teams with surf schools, rental shops and local government. But the region's Member of Parliament, Gord Johns, said that program has fallen short. "This tragedy is something no family should ever have to face. It is clear that signage in our parks is not enough to keep the public safe," he said in a statement. Johns said he's also asked Canada's environment minister twice to reinstate the lifeguard program, especially with high tourist season around the corner. "I share the serious concerns expressed by Tofino residents for public safety in Long Beach, especially at the area of Lovekin Rock. The Surf Guard program is essential to prevent future accidents and fatalities," he said. In the meantime, the RCMP has issued a public warning to those who visit Tofino, saying it's up to them to be vigilant and stay aware of risks associated with surfing and other ocean activities. Wittenberg's death remains under investigation by the BC Coroners Service.